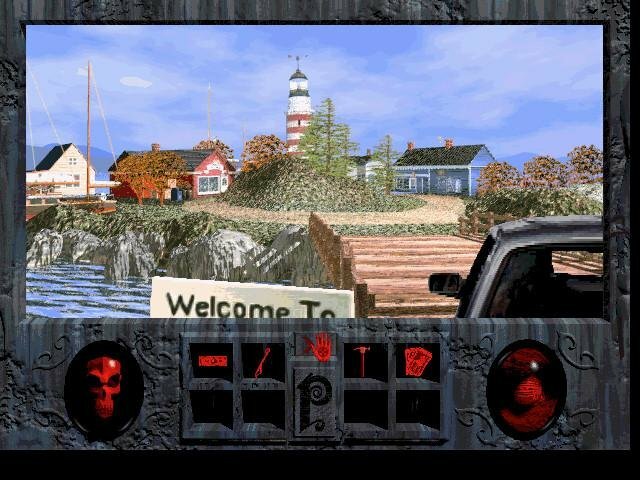 Probably the most influential development to shape 90s adventure gaming was the advent of CD-ROMs, and the seemingly infinite storage capacity that came with them. Here we have a means, thought game designers, of actually cramming hour-long movies and integrating them into gameplay. 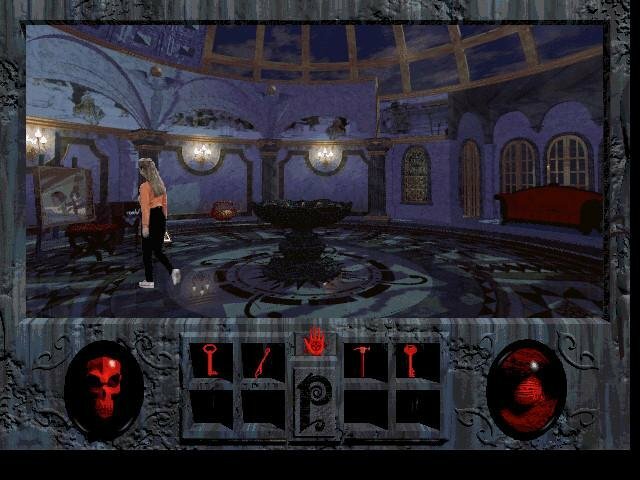 Such was the case with Phantasmagoria, otherwise noted for being Roberta Williams’ initial foray into modern horror. 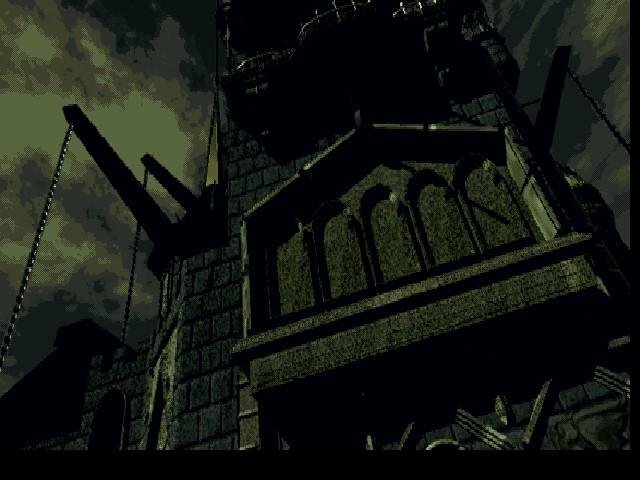 It was felt that cartoon characters would not the campy horror story, and so the game uses live actors combined with pre-rendered scenery. 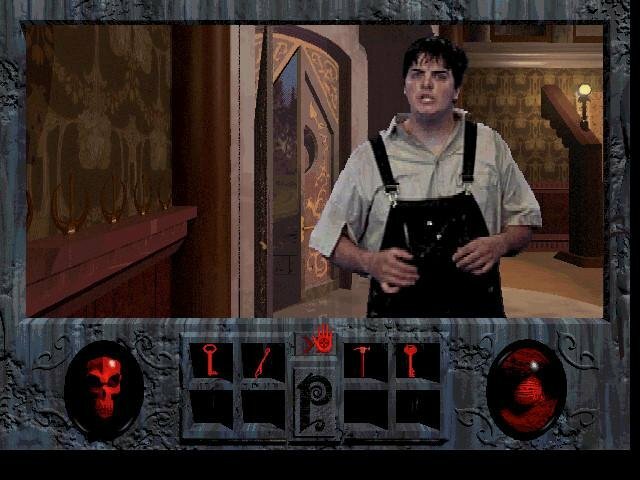 In many such cases, the use of FMV had a negative impact on the product by making the videos take precedence over gameplay; you weren’t playing a game, and on top of that you weren’t even watching a good movie for the most part either. 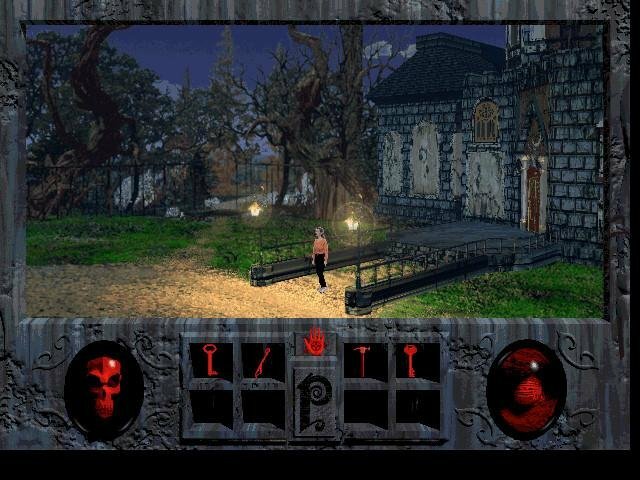 Phantasmagoria, while still being of dubious quality as far as plot or technical wizardry, does at least manage to integrate both the use of video and gameplay into one responsive whole. 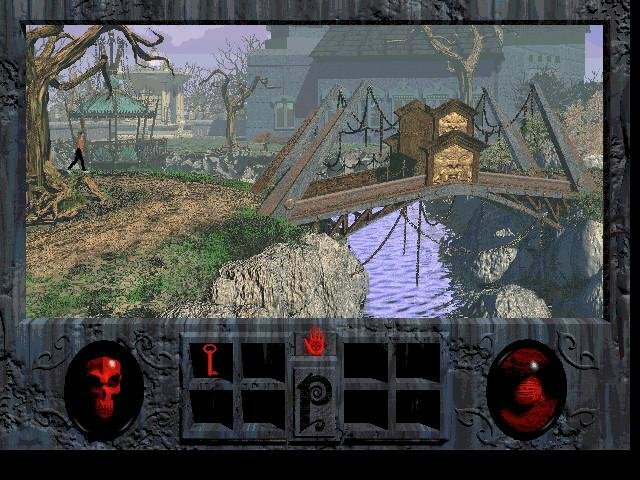 Scratch the surface and you’ll find a fairly traditional puzzle-based game, though not nearly as complex as anything you’d see in other Sierra installments. 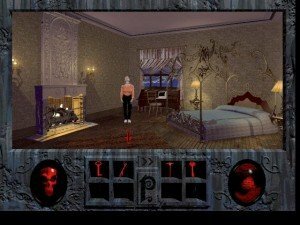 As with all by-the-book horror stories, Phantasmagoria tells the tale of one Adrienne Delanay (Victoria Morsell), writer and proud proprietor of an imposing computer-rendered gothic estate in New England. She and her husband, Donald (David Homb), have just moved into the old place, which they’ve bought for a ridiculous price. 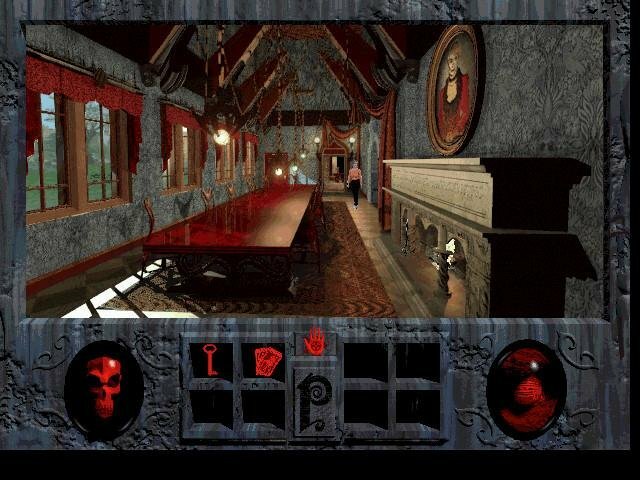 You take control Adrienne and start wandering around the old place, uncovering its dark secrets. Needles to say, the mansion was once a sight of unspeakable acts at the hand of its previous owner, a particularly sadistic illusionist. 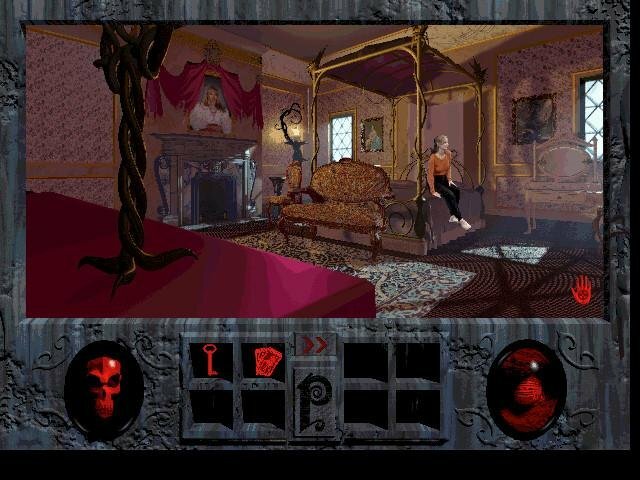 Secret passages, grisly visions of torture and demonic possessions follow suit as Adrienne delves deeper into the mansion’s history while her husband pulls a Jack Torrence on the side. 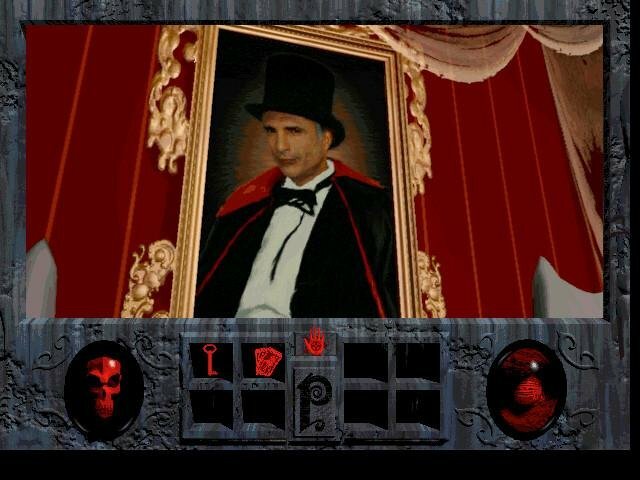 The pseudo-3D scenes in Phantasmagoria. The game itself would have been considerably better if the acting weren’t as bad. Victoria Morsell’s performance is decent enough but everyone else just drags the story down. The puzzles themselves aren’t that imaginative or difficult, although some (including myself) would argue that this isn’t necessarily a horrible thing. After all, many would prefer simple puzzles and fast play if there were an engaging story to enjoy, but which is sadly not the case here. Lastly, I didn’t see what was the point of the game’s chapter-based structure. 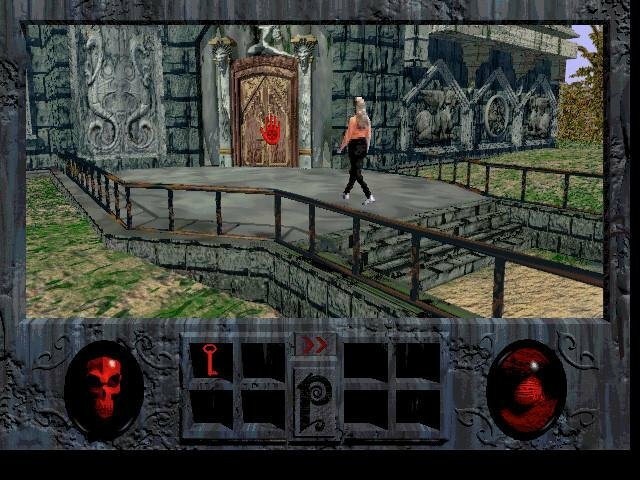 In short, you can easily jump to the final thirty minutes without playing any of the previous chapters. 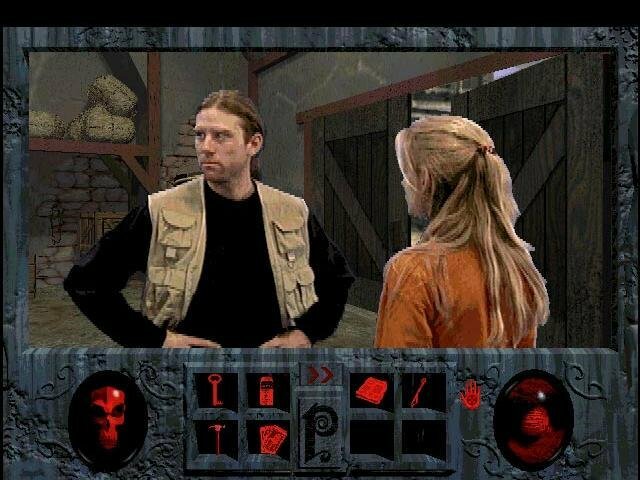 Still, there’s some entertainment value here, and one has to salute how Sierra built an FMV adventure game without getting bogged down by the usual trappings of live-action. 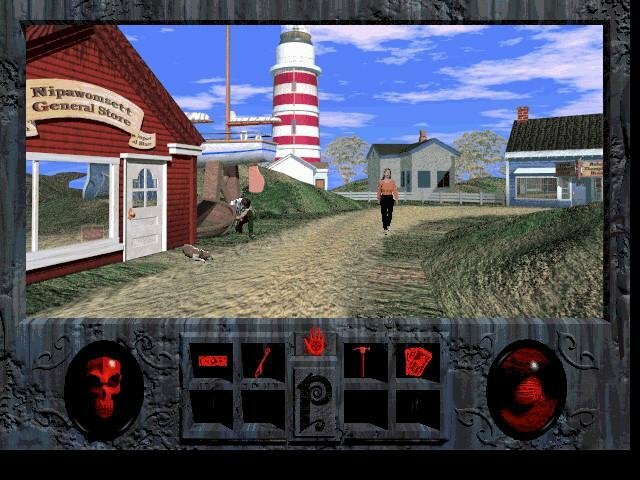 The interface is simple and easy to figure out and the gameplay is good if you’re looking for a lightweight, tacky horror adventure and don’t mind the second rate acting.